Before there was speech, was there song? Before there was ready light, was there a flickering glow? The deepest reaches of the human heart seem to know these truths instinctively. 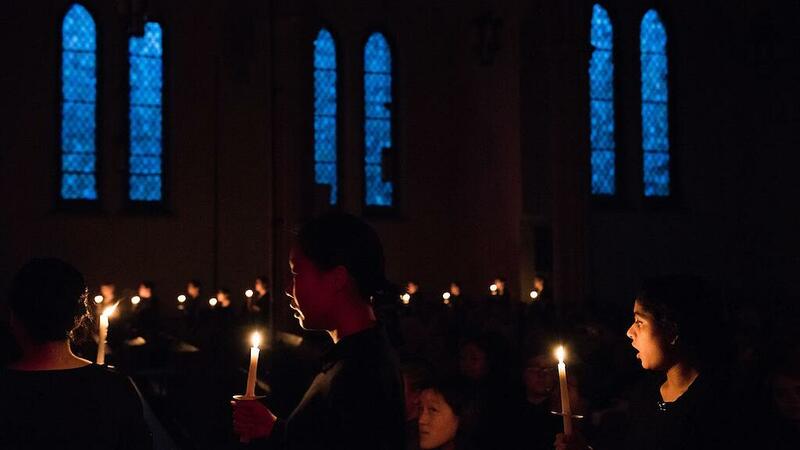 That such simple sensory experiences — voices raised, candles held close, warm bodies seated side by side — can elicit such profound feelings of comfort, peace and kinship speaks to the power of embedded memory. Were we made to sing? To make music? To be together? To reflect? To connect? 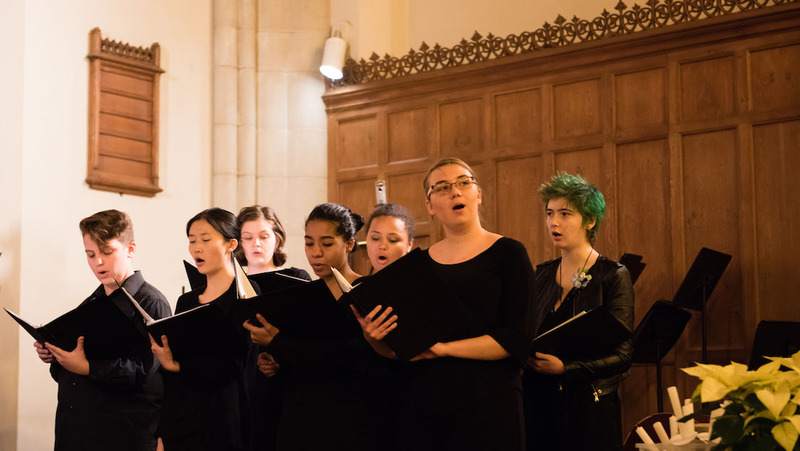 Mount Holyoke community members and the public contemplate these questions year after year at the College’s annual Vespers concerts. 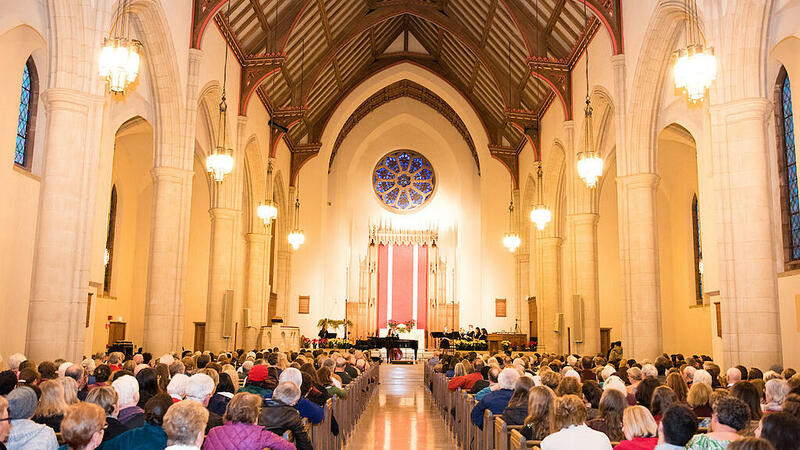 Held in some form on campus each December since 1899, the holiday tradition is much anticipated and reliably fills (to overflowing) the Abbey Memorial Chapel for both an afternoon and an evening performance. 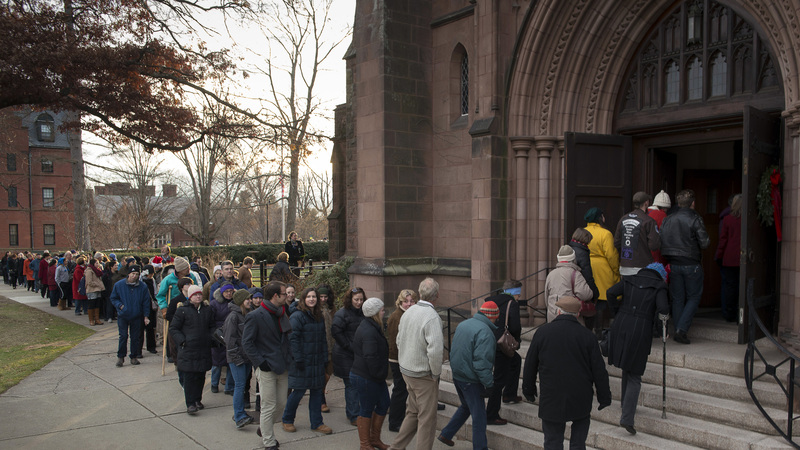 Though doors open 35 minutes before the free show, some eager attendees line up an hour or more in advance. In spite of any winter chill. 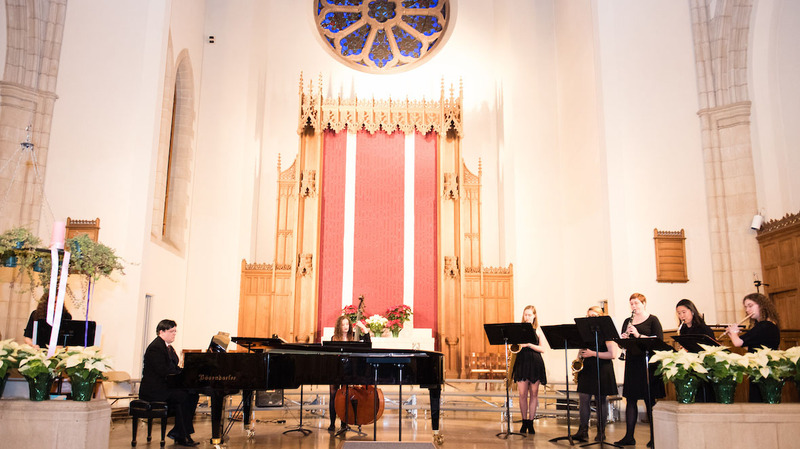 Beginning in 1920, the Vespers concert added an alumnae-friendly New York City venue: St. Bartholomew’s Church. 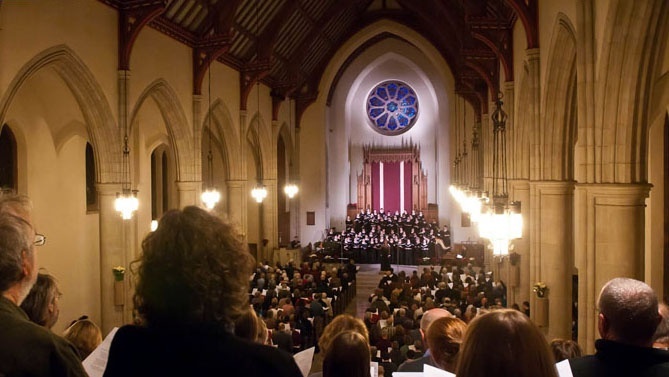 When a Boston venue, Old South Church, debuted in 1996, the location of the alumnae concert began to alternate each year between the two cities. The 2018 event is in New York City and tickets may be purchased in advance. 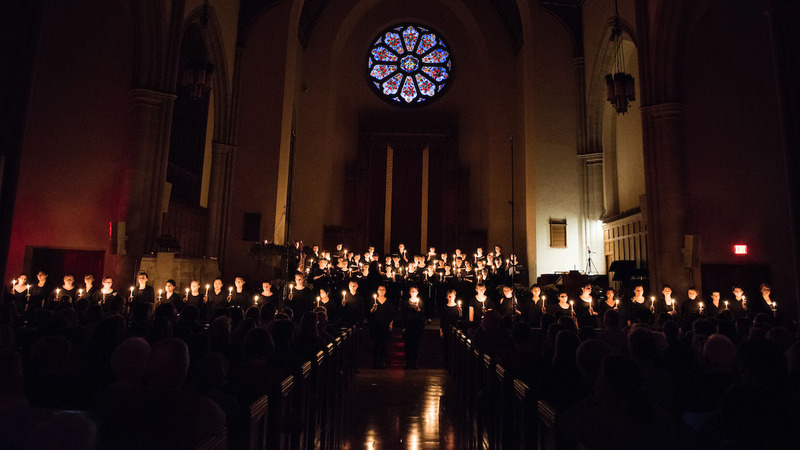 The current format of Vespers began decades ago. 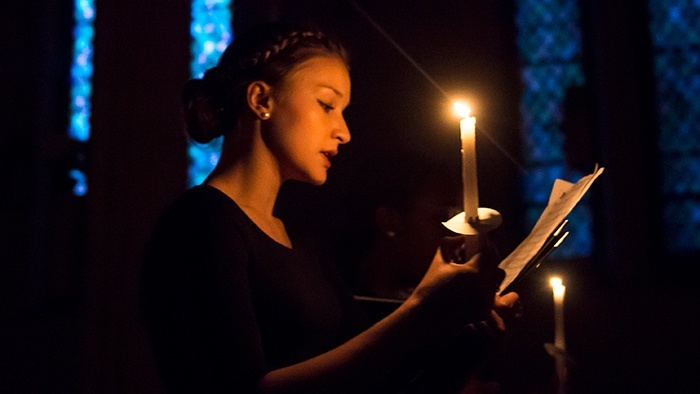 The darkened chapel is gradually illuminated and its ethereal acoustics come to life as members of the College’s Glee Club process down the center aisle, singing a Gregorian chant and holding candles. 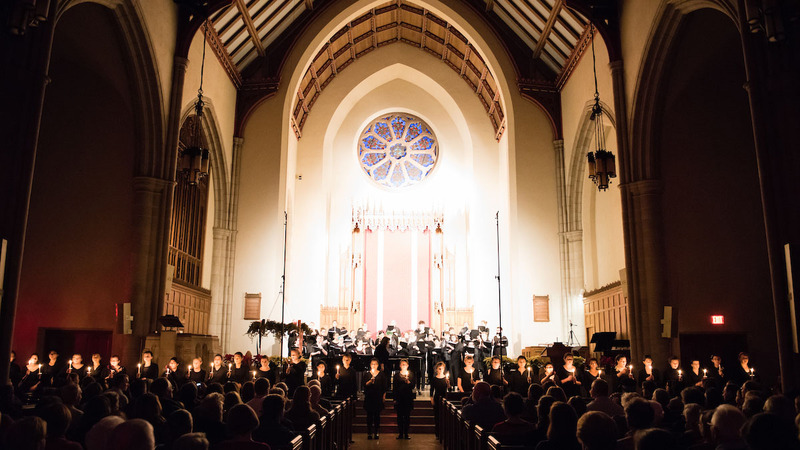 The music continues with meticulously rehearsed performances of an eclectic and global reach by the Mount Holyoke Chorale and Chamber Singers and the Vocal and Chamber Jazz Ensembles. 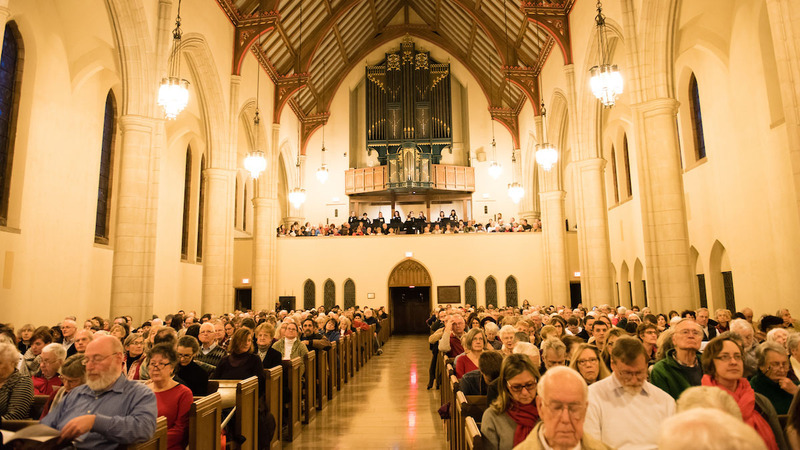 They are joined by the English Handbell Ensemble, the Flute Choir and a local organist. 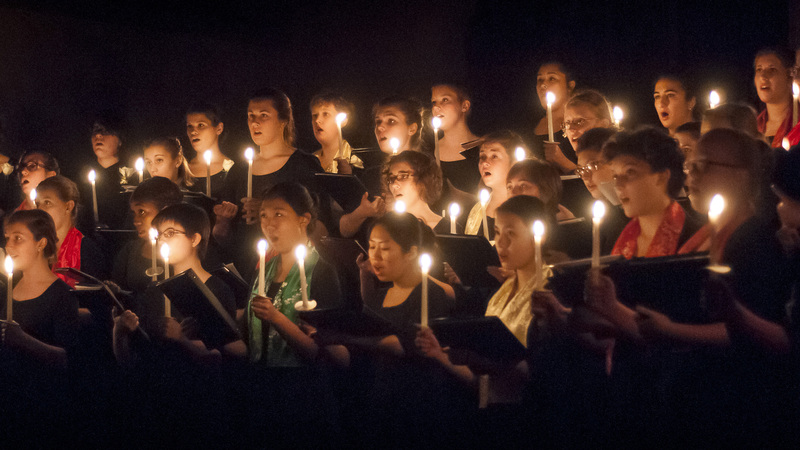 Vespers wouldn’t be Vespers without audience participation in the form of carol singing, which concludes the event. 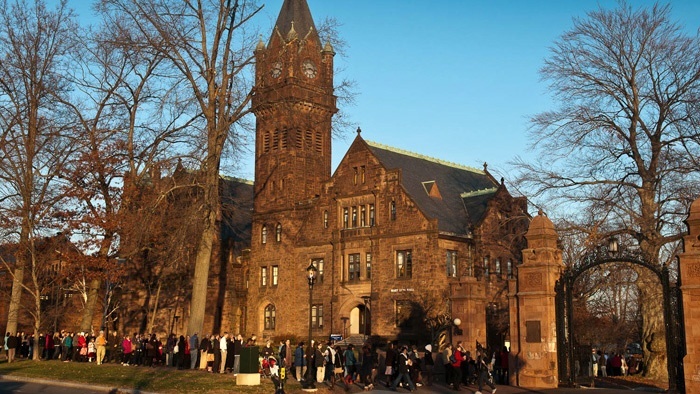 According to many gleeful attendees, this warm and inclusive event is the College at its best.